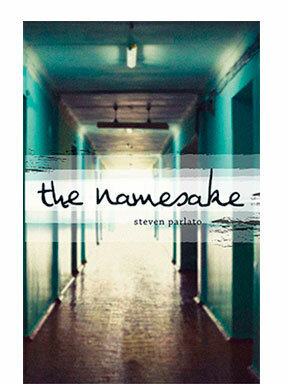 A poet, artist, and college professor, I wrote The Namesake, one of Merit Press’s debut titles. In one course I teach, Studies in Young Adult Fiction, we discuss key YA elements, including the struggle for autonomy and the search for self, just two factors needed in a living, breathing YA protagonist. Another crucial quality is humor. My protagonist is Evan Galloway, a junior at Saint Sebastian’s Catholic High School. At fifteen, Evan experiences the toughest challenge imaginable, as he strives to uncover the reason behind his father’s suicide. Though this situation could leave him mired in anger and defeat, Evan has the gifts of intelligence, sensitivity and dark humor to keep him going. A talented artist and stellar student, Evan is also nicely flawed; another must for a believable YA character. He tends to be stubborn, and despite obvious intelligence, can be emotionally obtuse, but he’s also tenacious in his quest for truth. Evan’s extended family is upended by the suicide. His mom, Katherine, has shut down emotionally. Her relationship with Evan is beyond strained, typical adolescent tensions greatly magnified in the wake of Evan Sr.’s death. In fact, tensions abound in the Galloway family, which consists of Evan’s Gran and Gramp and his aunts, Regina and Rosemary. Gran is a loving-but-rigid woman, unforgiving, and unwilling to face the truth. Evan’s dad was her pride, and she harbors resentment toward her son’s widow. Gramp has a crusty exterior, beneath which lies…an equally crusty interior. He also possesses a big heart, full of emotion he finds impossible to express. He can, however, be counted on for the occasional outrageous remark. Aunts Reg and Ro are like the yin and yang of support and judgment, respectively. Another family, the Albertis, figure prominently in Evan’s story. Mister Alberti is the sage and eccentric owner of an Italian restaurant where Evan ends up working. An old man with a salty sense of humor, Mister A has answers to many of Evan’s questions. His fiery daughter Angela and the near-silent Cousin Lupo round out the Alberti clan. A high school setting requires a cast of teachers and students, and The Namesake delivers. Mister Pettafordi is Evan’s art teacher; as the novel progresses, Evan learns he is also much more. Mrs. Solomon-Baxter-Coombs is an English teacher who also counted Evan’s dad among her students. Sensitive, and entrenched in the mystery of Evan Sr.’s death, she warns Evan “there are worse things than not knowing.” Another major figure at Saint Sebastian’s is Father Brendan O’Donnell, Evan’s psychology teacher, a good man who has not always made the best decisions. Every protagonist needs a character to battle, and The Namesake has two key antagonists: Father Fran, a figure from Evan Sr.’s past, and track star Randy Spiotti, Evan’s ever-present bully. As Evan delves into his dad’s boyhood, these two forces come together in surprising ways, causing him major angst. Luckily, in his pursuit of truth, Evan has one character standing by him through it all–except when she’s visiting her Great Aunt Bert in Florida and falling for Tyler Wattrous, one of the other “track apes”. She is Alexis Philomena Bottaro, Evan’s best friend, and if I’m being completely honest here, it’s clear the boy is in love with her. And who wouldn’t be? Lex is strong, audacious and fiercely loyal. Plus she’s a huge Carpenters fan. Of course, there’s another character without whom there would be no story, Evan Galloway Sr., my protagonist’s lost father. His suicide drives the plot, as Evan struggles to understand why a man who seemingly had a great life would choose to end it. We glimpse him as an adult in flashback, but the character truly comes to life as Evan excavates his dad’s dark past. As Evan digs deeper, reading his father’s high school journal and discovering his artistic talent, he (and hopefully the reader) comes to understand who his father really was, and the emotional wounds he bore. So, these are the major players in The Namesake, my YA debut. Each one feels very real to me. In the case of characters like Evan and Lex, they’re people for whom I have great affection. Others, not so much (I’m talking to you, Spiotti!). I hope they’ll become real for you and find a place in your heart as well. I appreciate you taking the time to get to know them, and I offer deepest thanks to Merit Press for the opportunity to introduce them to you.